Learning by Doing! 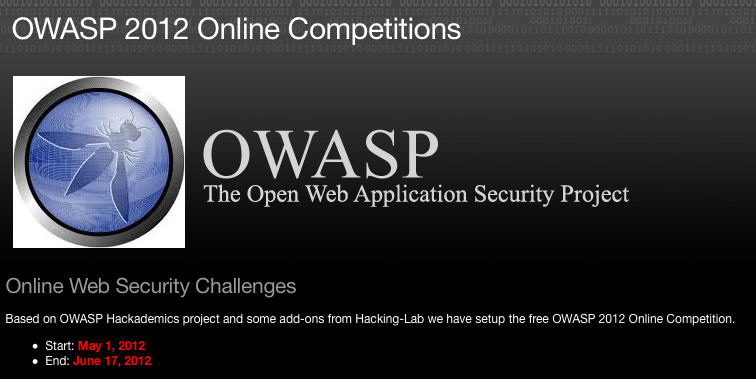 We are proud to run the OWASP 2012 Online Competition with Hacking-Lab. The event is free for everyone, why not participating this educational program?